Collect all orders and reach 100000 points to complete the level. 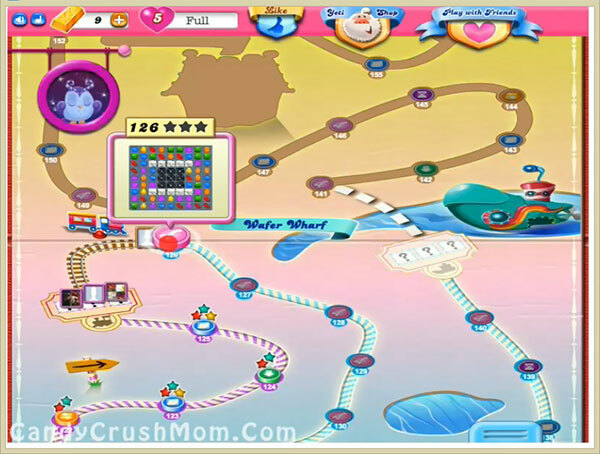 This is the first level of water wharf episode that have new type of requirements and for this level you need to break 20 blue, red and green candies. To complete this level you should try to play from same candies that are in requirement plus try to break blockers. Make colorbomb or any other special candy and break with red candy or any other required candy to reach requirement. We completed this level with 46840 score by playing as same strategy that written as above plus got single colorbomb that we combine with red candy that help to reach requirement with two star score.